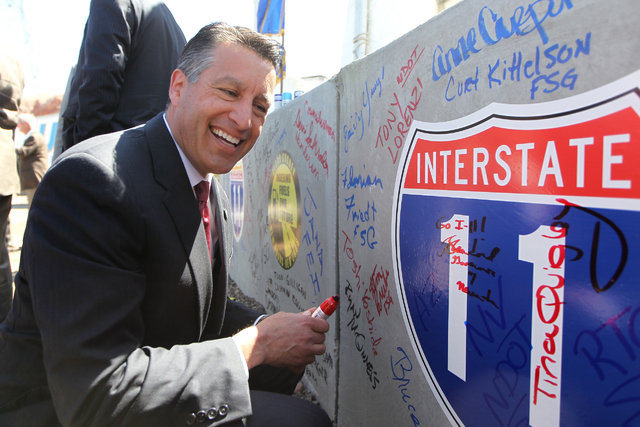 The 15-mile stretch of Interstate-11, a $318 million project that will create a concrete bypass around Boulder City that joins the Interstate-93 route just west of Hoover Dam with a 15-mile, four-lane, asphalt interstate, is expected to be complete within a year. But the future of the broader project remains very much in question. The 15-mile stretch of Interstate 11, a $318 million project that will create a concrete bypass around Boulder City that joins the U.S. Highway 93 route just west of Hoover Dam with a four-lane asphalt interstate, is expected to be complete by October 2018. But the future of the broader project remains very much in question. If fully realized, Interstate 11 will connect Las Vegas and Phoenix and will be a key portion of the intended CANAMEX Corridor, linking Mexico and Canada via a series of highways. The corridor could have a profound economic impact on the region, particularly North Las Vegas, which is a growing merchandise fulfillment hub that could benefit from increased freight traffic. Road improvements to create the corridor are part of the North American Free Trade Agreement, ratified in 1994. President Donald Trump has heavily criticized the agreement, at different times threatening to walk away from the deal (he would have the authority to do it, with a six-month notice to Canada and Mexico) or renegotiate its terms. The president has already withdrawn the U.S. from the multinational Trans-Pacific Partnership trade agreement, which was signed in 2016 but never ratified. Most economists believe NAFTA is too beneficial for the U.S. to simply leave (U.S. exports to Mexico have increased more than 450 percent under the agreement, according to U.S. Census Bureau statistics), and it remains uncertain what effect the new administration’s policies will have on the future of the corridor. 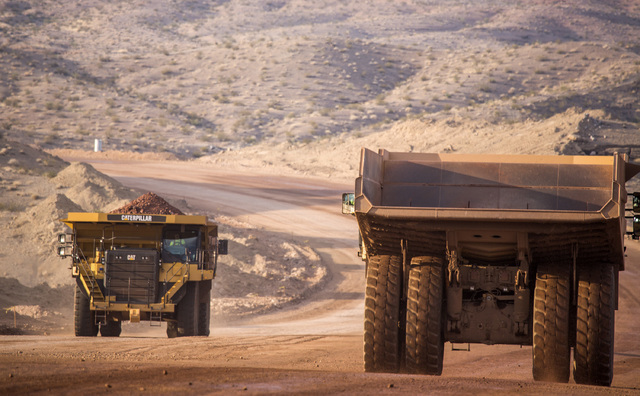 Mexico is the fourth-largest trading partner with Nevada, representing only about 5.2 percent of the state’s exports — $448 million in 2015 — according to John Restrepo, principal of Nevada-based RCG Economics, and Mike PeQueen, managing director and partner at HighTower Las Vegas. By contrast, the largest importer of Nevada’s goods is Switzerland, who purchased almost $2.4 billion in gold in 2015. The Swiss franc is backed by gold, which accounts for nearly 40 percent of the reserve of the Swiss National Bank. But Restrepo and PeQueen point out the consistent tourist stream is one of Nevada’s major exports to the region, accounting for nearly 1.3 million guests in 2015. Routes, policies and relations that better facilitate this travel benefit the Southern Nevada economy. Those that make it more difficult inevitably harm it. Currently, the major roadblock to a trans-national corridor cutting through Southern Nevada is money. The project has essentially no funds earmarked for construction. “What we are doing now is pretty much all we have planned to do in the immediate future,” said Tony Illia, Nevada Department of Transportation public information officer, referring to the Boulder City Bypass project. The Fixing America’s Surface Transportation Act — signed into law in 2015 — provides Nevada $1.9 billion over five years, which represents a 15 percent increase in highway funding. The Act, which provides $305 billion in transportation funding nationwide, marks the first long-term federal surface transportation bill in over a decade. The law gives the Interstate 11 project priority designation status, which might be beneficial in a project scrum for money from a mass spending package but provides no specific funding mechanism. Another potential financing stream is the Fuel Revenue Indexing, which is projected to generate as much as $3 billion to fund roadway projects in Clark County over the next 10 years and has partially funded the Boulder City bypass construction. The best hope for sufficient funding in the near future could fall — somewhat ironically, given his protectionist trade rhetoric — to Trump. About 90 percent of the nation’s interstate system is federally funded. During the presidential campaign, the president has pushed significant infrastructure investment, and Interstate 11 funding could be part of resulting spending packages. To date, the administration has not indicated favor toward the project, but Trump and his team have thus far proven difficult to predict, and no specific spending proposals have yet been laid out.